Just a few months before I was born the first Harry Potter book came out, I didn't know it at the time but it would be a book and film series that I would come to love, a comfort during the dark days and an escape from real life. I remember seeing my Mum's HP books on her bookshelf as I was growing up, seeing another book added to the collection every now and then and I just really wanted to know what all the fuss was about. The first film came out in 2001 so I've grown up more with the films, rather than the books but my collection sits proudly on my bookshelf and I remember reading them, and then re-reading them, as my love for books grew. I immediately connected with Hermione, especially during the times at school where I was bullied for spending my lunchtimes in the library reading, so I haven't just loved reading the books and watching the films, they have also really helped me during the bad times. As J.K. Rowling said 'Hogwarts will always be there to welcome you home'. When it comes to the films I definitely have my favourites, Prisoner Of Azkaban being one, and they are films that deserve a fitting screen to watch them on. The Panasonic Ultra HD 4K TV is the perfect screen to capture the masterpieces that are the Harry Potter films, I imagine the Battle of Hogwarts scene in the final film would look particularly spectacular on the high definition screen. When I was living with my family we had a HD TV and I honestly thought that it wouldn't make much difference, I was so wrong though, you can definitely see the difference if you flick between a HD channel and a normal channel, the bright display and sleek design really doesn't compare to a standard TV. Even the thinnest of TV's can still look bulky but this one looks stunning, it's designed well and would add to an environment, rather than taking away from it. 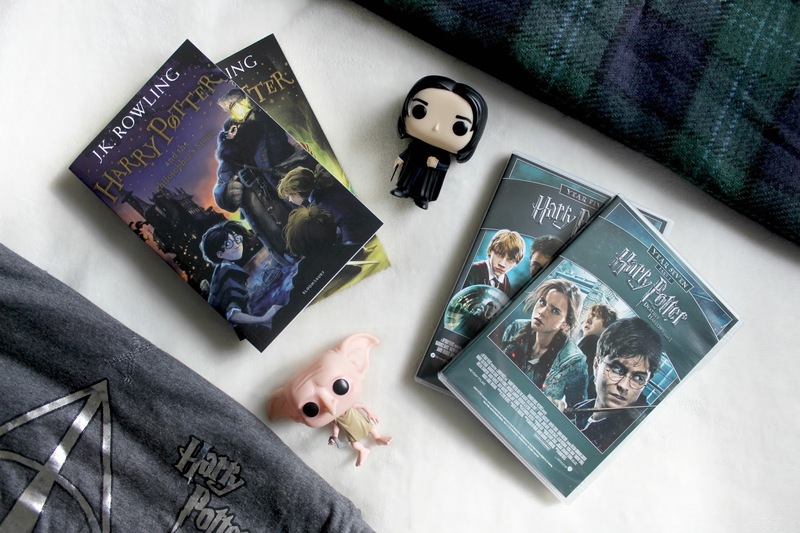 I feel like Autumn is the perfect time to snuggle up under some blankets and watch the Harry Potter films, there's something about them that just reaches out to me on cold and dull evenings. Perhaps it's their ability to always put a smile on my face, as long as you don't pick one of the films with a ton of deaths in. I think it really takes me back to my childhood though, watching my Mum add to her book collection as every new book came out, seeing the queues of people wrapping around book stores as they wait in anticipation. 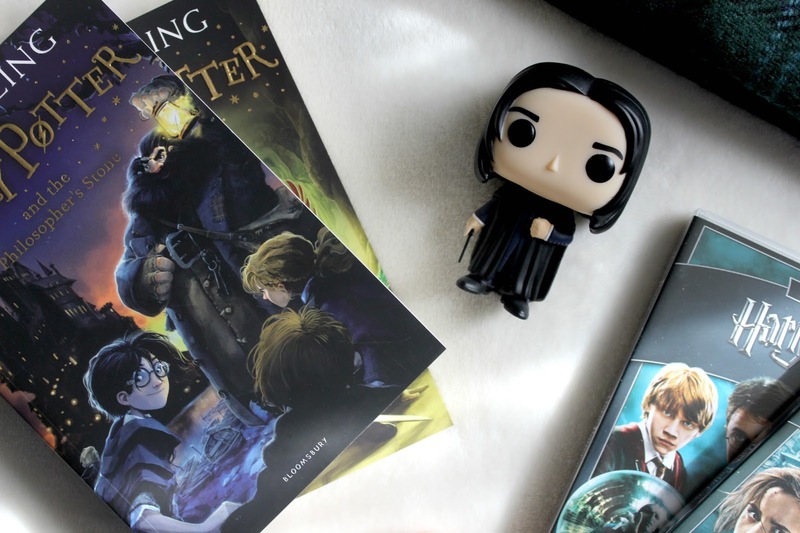 There is such a buzz and a spirit surrounding Harry Potter, and an instant connection with fans as well. Recently HP fans gathered at Kings Cross station in celebration of The Hogwarts Express once again leaving platform 9 and 3/4, with Harry's son Albus on board. From the outside it might seem silly to celebrate something like this but I love that everyone is keeping the story alive, as it would be a real shame for the generations to come to not experience the magic of Harry Potter. I certainly couldn't imagine my childhood without the books and films. I was 14 when the final Harry Potter film came out and seeing how Hermione, a character I connected with so strongly, had bloomed into this confident and intelligent young woman gave me such hope that things would improve for me. I was sad when the series ended, and I cried very ugly tears during the final film, but I always knew that the books and films would be there whenever I needed them. How has the Harry Potter series shaped your life? Harry Potter was with me in my every hospital stay. This was the best book to read and not think about ma actual situation and place where I had to be. I read it many times, each book more than 10 times :) Now I listen Harry Potter audiobook when I'm going to sleep every night. This summer I was in Universal Studio in Hollywood and most time I spent in Harry Potter world. I wish I could be there when I was a child fall in love in HP books. I also like the films and could watch it many times. My best is the fifth volume of the book I think. I can't chose my favorite film, I like them all. It's such a good series for if you want to escape so I can imagine it being perfect for hospital stays! I'd really love to go to Universal Studios but right now I'd struggle to get to the studio tour in London, let alone America haha!